ONE OF OUR PRIMARY GOALS IS TO KEEP ARKANSANS UP TO SPEED WITH THE STATE OF THE ARTS IN ARKANSAS. LISTED BELOW ARE SOME QUICK FACTS THAT YOU CAN USE WHEN ADVOCATING ON BEHALF OF INCREASED SUPPORT FOR THE ARTS THROUGHOUT THE STATE. ARE ARTS-CENTRIC BUSINESSES CREATING JOBS WHERE YOU LIVE? 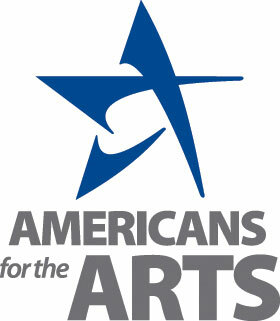 The Creative Industries study is a unique representation of both the nonprofit and for-profit businesses involved in the creation or distribution of the arts. It is composed of arts-centric businesses (or "Creative Industries") that range from nonprofit museums, symphonies, and theaters to for-profit film, architecture, and advertising companies. Nationally (as of January 1, 2015), there are 702,771 businesses in the United States are involved in the creation or distribution of the arts, and they employ 2.9 million people (which represents 3.9 percent of all businesses and 1.9 percent of all employees nationwide). Find your FREE, local report now to get specific data for your community! In advocacy, knowledge is power, but jobs are persuasion - find out how many jobs are created by Creative Industries in your State, U.S. Congressional District, State Legislative District, or County. Want to know how much the arts impact your local economy? Every day, more than 100,000 nonprofit arts and culture organizations act as economic drivers - creating an industry that supports jobs, generates government revenue, and is the cornerstone of our tourism industry. The Arts & Economic Impact IV study documents the key role played by the nonprofit arts and culture industry, and their audiences, in strengthening our nation’s economy. Our national findings wouldn't be possible without the data collected from 182 participating study regions. Those 182 regions include 139 individual cities and counties, 31 multi-city regions, 10 states, and two arts districts and represent all 50 states and the District of Columbia. The diverse communities range in population from 1,600 to 3.8 million and from small rural to large urban. Our national findings are derived from the data from organizations and audiences in these communities. Ready to find information for your community? Check out the Local & Regional Findings! DOES YOUR COMMUNITY PARTICIPATE IN THE ARTS? Arts and culture are a deep and intrinsic part of every community. Across the United States there are over 113,000 organizations dedicated to many aspects of cultural life. This activity encompasses a broad range of disciplines that ranges from performing arts production and presentation, to visual arts exhibition, to arts education and arts in healthcare, to preservation and interpretation of our collective heritage. Consumers spend nearly $150 billion annually on entertainment and the arts. How do we better understand the breadth, depth and character of this industry? The Local Arts Index was launched in 2012 as a tool to better understand the characteristics of the cultural life of individual communities as measured at the county level. Find out how your county compares to others – explore how you measure up!